No one can monitor everything that happens in their place of work while they're attending to business. It shouldn't be your job to worry about what's going on a floor away from you when you're attending to business details. That's why it's our job. Southwest Security not only offers security monitors and recorders, we handle the monitoring so all you have to do is review the videos to be fully informed about what's going on outside of your office. Anyone who owns a business is aware that there are thousands of details to be attended to every day. Dealing with a break-in pushes those details aside and forces you to focus on handling it rather than doing your job. Preventative measures are the best protection against incidents that put a hitch in the workday. Do you have an in-house security staff as one of those preventative measures? Make their jobs easier with security monitors and recorders that help them handle everything that arises. With a customized security system from Southwest Security, you'll have peace of mind that will allow you to handle your business's details without distraction. Many businesses are still working with technology from the last decade and the hitches that analog cameras and wired systems involve. Security monitors and recorders need to be out of reach of criminals, wireless to prevent tampering and able to be placed wherever your business needs eyes to watch. Not only can we provide those, but with our complimentary on-site consultation, we can show you how your current system can be upgraded. Security monitoring is a job in and of itself. Our Alarm Response Center handles that problem for you. 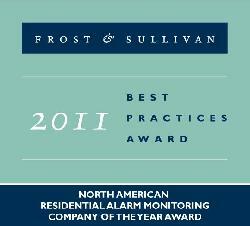 If an alarm goes off, our trained operators know who to call to have that alarm responded to immediately. Our high definition cameras have wireless capability and send video recordings to a secure cloud server that you can access at any time via a login through your smartphone or computer. Your business isn't security; it's ours. Southwest Security call us today for an on-site consultation to help you decide exactly how to customize our security systems for your needs. Contact Southwest Security at (505) 440-9025 and find out about customized security plans and monitoring!